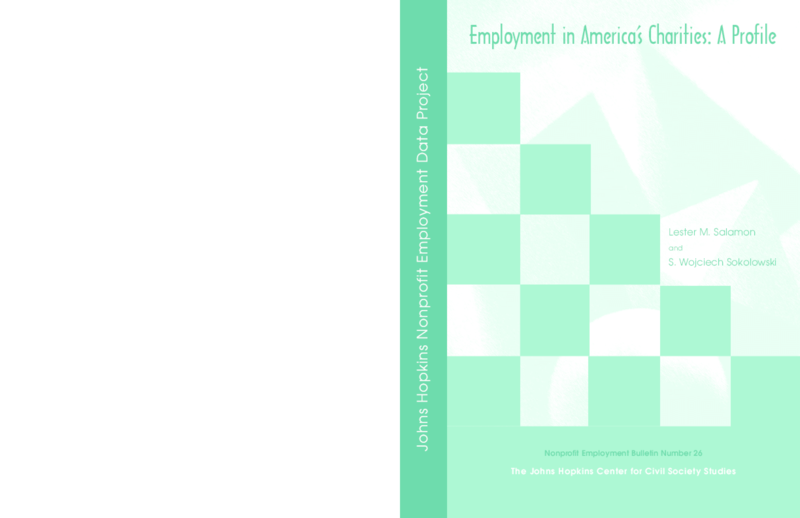 This report presents the result of a study on employment in America's charities carried out by the Johns Hopkins Center for Civil Society Studies. This research covers the full non-profit workforce in health, education, civic, scientific and charitable organisations, including both paid and volunteer workers. Statistics as well as charts are also included.